SEATTLE — A jury has awarded $50 million to a Washington couple who filed a wrongful birth suit after their son was born with mental and physical disabilities. Brock and Rhea Wuth, both school teachers, had been advised that they had a 50-50 chance of conceiving a child with a genetic defect. They sought genetic counseling in the matter as Brock’s cousin was born with a chromosomal disorder. After Rhea became pregnant, Valley Medical Center in Renton sent tests to LabCorp in North Carolina to determine whether the child had any abnormalities. As the tests came back normal, the family was assured that the baby was fine. 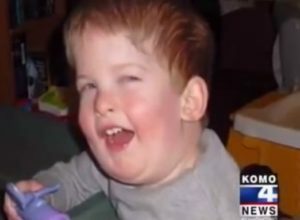 However, when Rhea gave birth in July 2008, it was discovered that the infant had “unbalanced chromosomal translocation.” The Wuths then filed suit against Valley Medical Center and LabCorp in 2010, advising that had they known that the child—a boy, who they named Oliver—had defects, they would have sought an abortion. According to the Times-News, attorney Todd Gardner cited the birth of the baby and the care that he now requires—likely for the rest of his life—as damages that required compensation. He asserted that Valley Medical Center had failed to inform LabCorp of all of the pertinent information, including that Brock Wuth carried a genetic abnormality from his family history. Gardner also blamed LabCorp for not following up with the Medical Center when it did not provide details on where to look for the possible defect. Earlier this month, a jury selected by the King County Superior Court agreed with Gardner and the Wuths, and awarded the Wuth’s $50 million—$25 million to the couple and $25 million to Oliver. Valley Medical Center then issued a statement apologizing for the “tragedy” that had occurred. LabCorp said that it is considering an appeal. But some are expressing sadness over the wrongful birth suit being filed in the first place and the impact that it could one day have on the child. Oliver is now 5 1/2. He is obtaining special education as he speaks few words and is not yet able to climb the stairs or run.